Summer is here, and the new crop of graduates is being released from school to take a break! Some will start college this fall, some grad school, some will finally get to work that job for which they have trained so long. Does homemade chocolate cake with mocha frosting sound good? I thought so, and gauging from the rate at which it disappeared, so did the teens for whom it was made. That’s all that was left. I like baking for teenagers; they’re not shy about coming back for seconds! 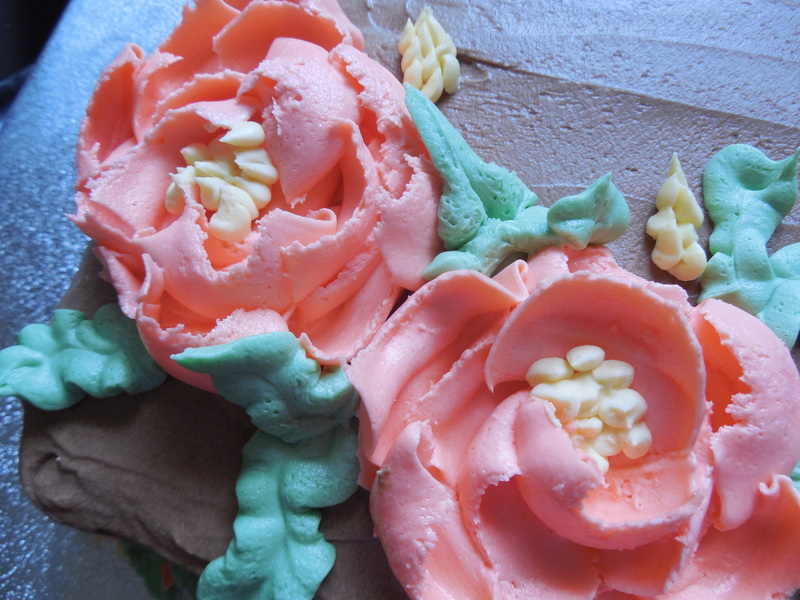 I made the coral peonies on pieces of parchment paper, then popped them in the freezer until I was ready to place them on the frosted cake. The mocha frosting was firm from the fridge, so I had a bit of liberty as I placed them to change my mind and adjust them slightly. 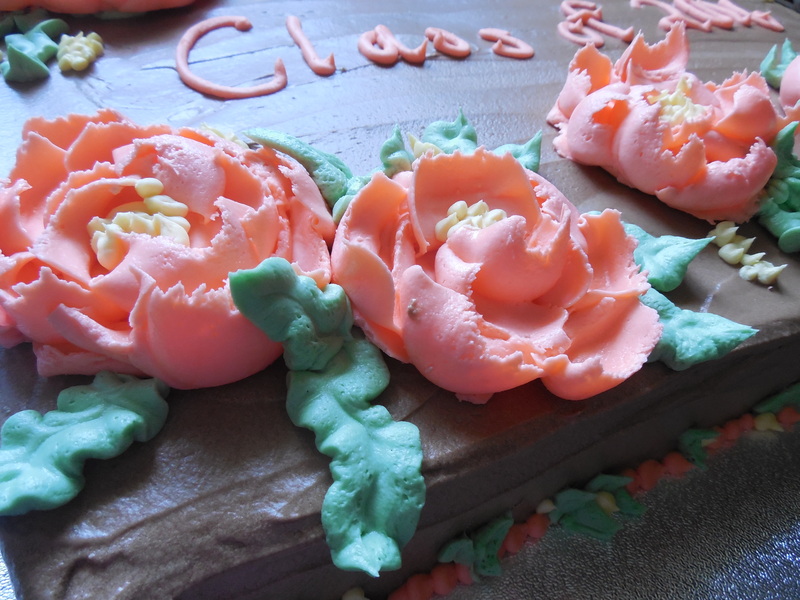 This was much less stressful than trying to pipe perfect peonies at just the right spot on the cake. I added the leaves once they were in place. I love the Wilton tip#352 for leaves. I had fun with the bottom border, and you can see it a bit in this picture. I have fun making cakes, and I do like decorating them with garden fresh flowers, and sometimes it’s fun to make a woodland cake with fondant toadstools. Now I’m in the mood for more ChocaMocha cake! Very nice. 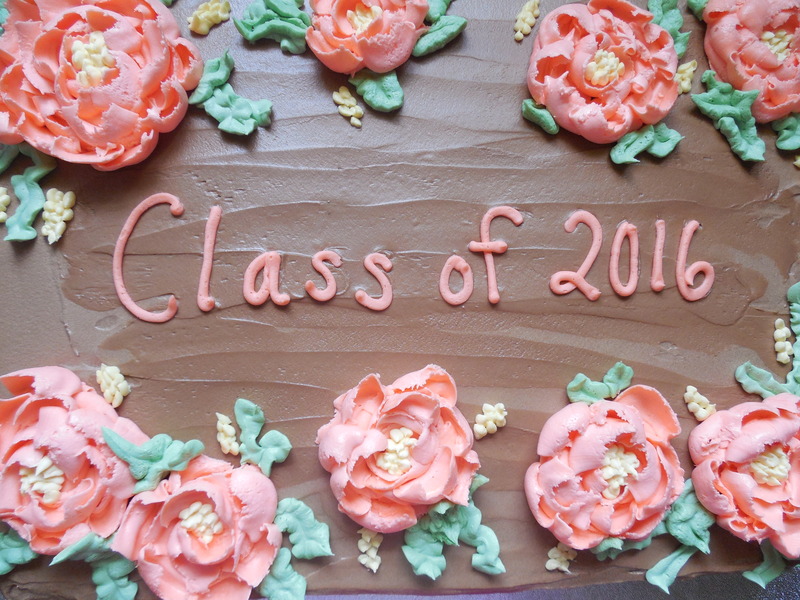 We only had one graduation this year but next year……look out!!!! Graduations are such exciting times! Bittersweet too, for the parents. 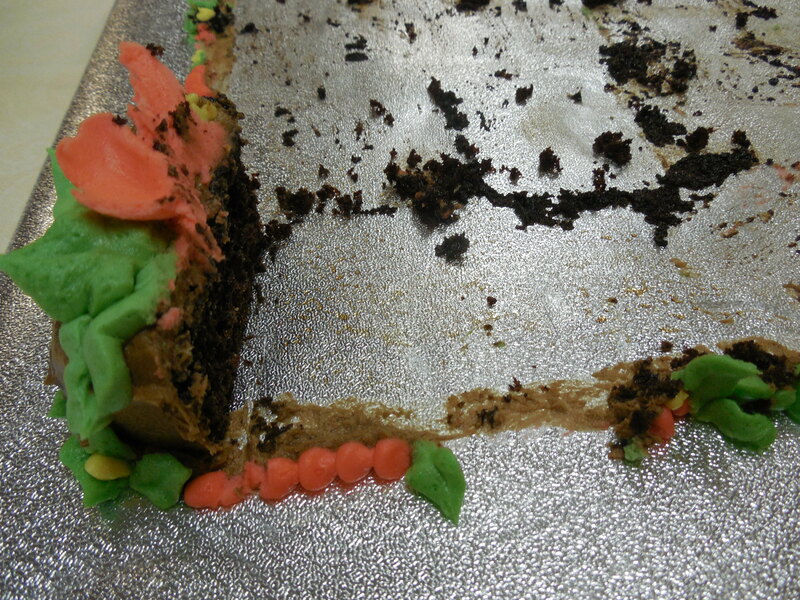 YUM CAKE. Haven’t seen you in a while…come over and visit, have a read, leave a comment or two if you can!